Make your special day unforgettable! 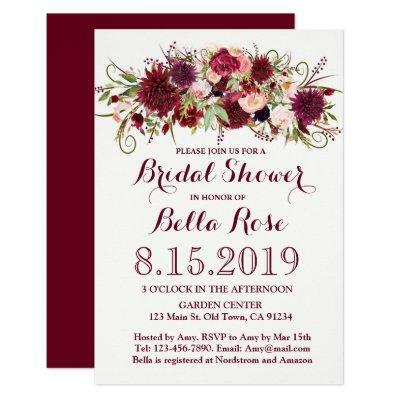 This gorgeous design features trendy elegant marsala red floral, adorned with beautiful greenery . Matching envelopes and other accessories are also available for this collection.